Z-axis motion is controlled by a traversing crossbeam with vertical up and down movement. Additional W axis ram movement. One piece H type column. mechanical transmission 2 axis Milling Head. 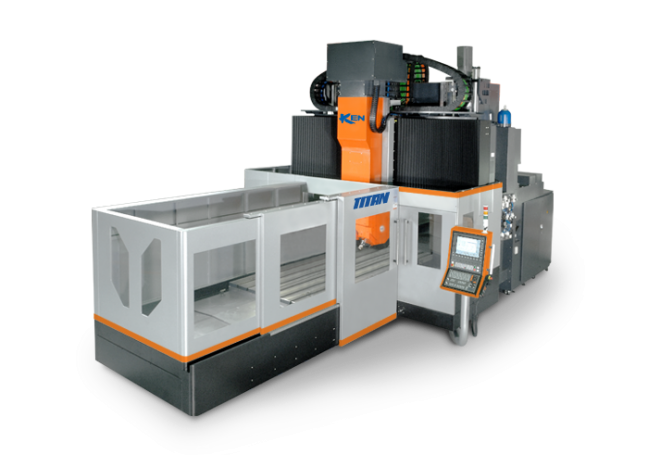 Heavy duty 5 axis portal machining centre. 1,200 Nm high torque spindle.